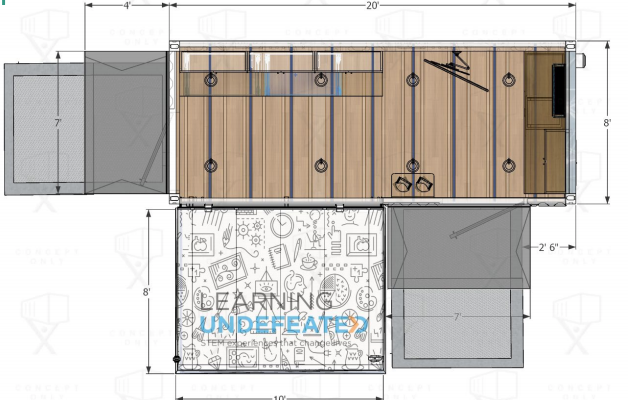 Our newest concept in mobile STEM education, Drop Anywhere LabsTM are custom outfitted STEM learning spaces built from modified shipping containers. 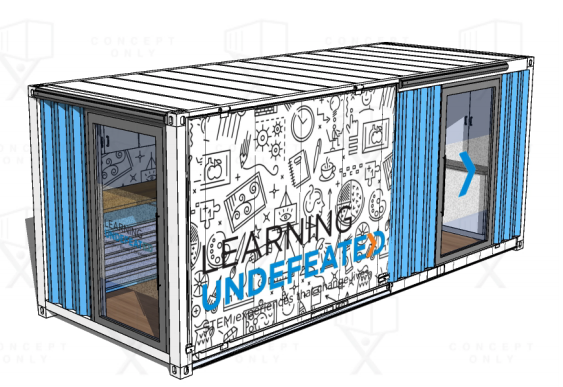 Innovative, multipurpose use customized shipping container. Scalable, cost-effective science and technology resources for schools during times of crisis, catastrophe, and disaster relief. 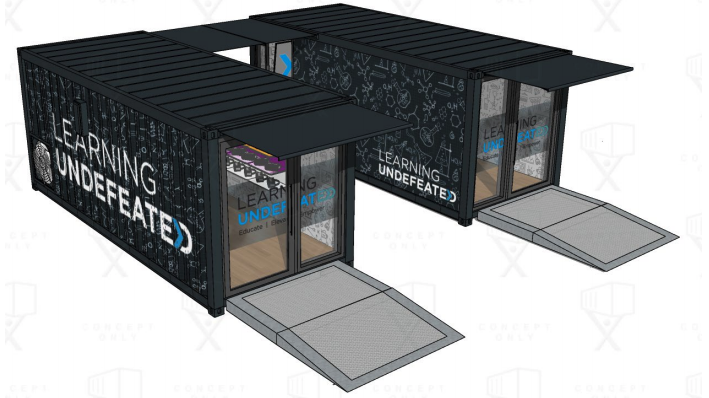 Immersive onboard career exploration experience, centered around in demand STEM jobs. Provide sophisticated laboratory equipment and resources for teachers to facilitate experiential learning in their classroom. Content themes will include engineering, construction, science and health. Opportunities to fund the first generation of this new lab concept are available! 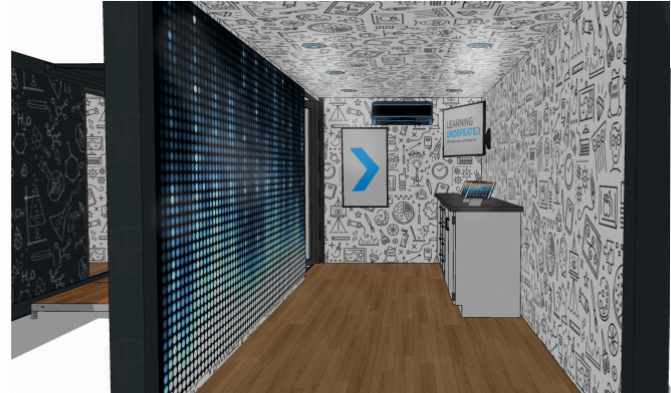 Drop Anywhere Labs can be custom-built for your location and content areas, and offer a turnkey corporate education investment. To learn more about Drop Anywhere Labs, contact Alejandro Cardemil. Maryland middle school teacher volunteers are invited to participate in a focus group to help inform decisions about the design, content, and types of activities offered as a part of the new program. Focus groups will be held this spring. For questions, or additional information on how to register, please contact Joe Wilkerson. 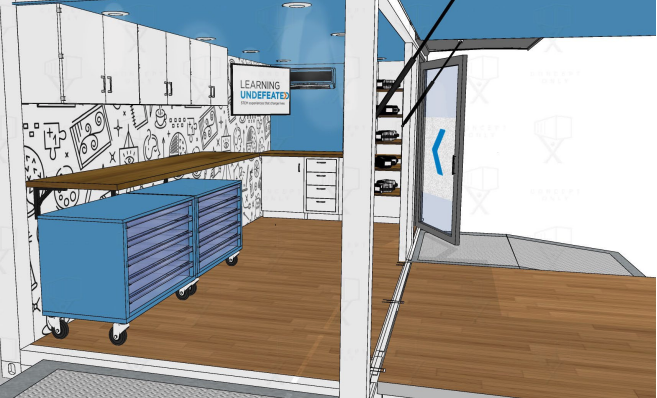 Maryland middle and high school teachers are invited to participate in a curriculum workshop series to help develop the Drop Anywhere Lab’s activities. Preferred teaching areas include chemistry, physics, technology, engineering or applied mathematics. Workshop participants will receive a $25/hr stipend for their efforts! Curriculum workshops will be conducted in this spring. For questions, or additional information on how to apply, please contact Joe Wilkerson.